Thank you, iHeartfaces for this weeks challenge! I am totally weak at collages. Hopefully this will help me improve that area. Wow, love this! The one with the bridge and the reflection — awesome! Good work! 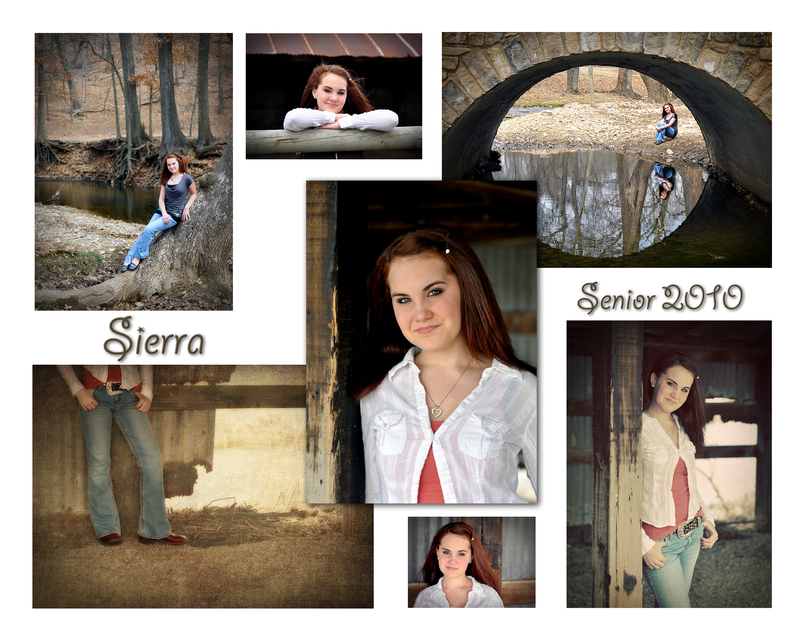 Great shots, I especially love the one under the bridge with her reflection. I think you did very well on your collage! What wonderful photos! I especially adore the one in the top right corner. Great collage too! Awesome Collage! I love the photo with her under the bridge!!!! Weak? I think not! That is beautiful, and absolutely perfect for a senior shoot. I used Picnik for mine… I imagine that will cut me out of the herd pretty quickly. BUT… I finally got PW’s actions loaded into Elements… I am SOOOO excited! Now… can I borrow your brain and creativity for about a month? Or maybe just connect a cable directly from you to me? Pleeeeeeease? Great job, Dana… is there nothing at which you don’t excel? Wow….thisis beautiful. I bet this senoir loves this collage! Well done! What are you talking about lady?! You aren’t weak at collages a bit…this turned out fantastic!